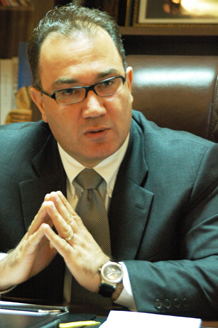 Prof Mohammed Ihsan was minister for Extra Regional Affairs from 2005 to 2011, Minister for Human Rights, President of the General Board for Disputed Areas in Iraq, International Investigator for Genocide crimes in Iraq from 2001 to 2005 and Kurdistan Representative to Federal Government in Iraq from 2007-2012. He holds a PhD in International Law from University of London and another PhD (Exon) in Arab and Islamic Studies from the University of Exeter (2014). He is the founder of Civic Education programs for Iraqi Kurdistan Schools. Prof Mohammed Ihsan has authored various articles and books on Kurdistan and Iraq. In the last few years most of Prof Ihsan’s research work has been devoted to the Kurdish question and the middle east issues, as well as investigations into genocide and crimes of war in today's world. 1999 Kurdistan & War Dilemma, Dar Al Hikma, London. 2000 International Conflicts in the 20th Century, London. 2001 The Kurdish Question & Turkish – Iranian Relations, Arass Publisher, Erbil, Kurdistan. 2002 Society & Civil Society in Iraq, Dar Al Saqi, London. 2012 Kirkuk and disputed Areas on the Iraqi Constitutional Framework (Al Mada, Beirut). 2012 Conflict and Conflict Management in Today’s World (Al Mada, Beirut). 2014 Iraq: From Blueprint to Genocide? (AL Mada, Beirut). 2014 Silence: Genocide against the Kurds (Al Mada, Beirut). 2014 Iraqi Army after 2003 (Al Mada, Beirut). 2015 Nation Building in Kurdistan: Genocide, Memory and Human Rights (Ashgate, London). 100s of articles in Kurdish, Arabic and English on different newspapers and academic magazines.